Get a better understanding of the definition and the promise of blended learning from this playlist of nine videos and additional resources gathered by VideoAmy. The dictionary definition of blended learning (sometimes called hybrid learning) is so broad, it sometimes feels like nearly every modern classroom could fit under that umbrella. But the key to understanding blended learning is that it's not about the technology; it's about transforming instructional design to maximize teacher time, to better utilize digital resources, and to build a community of engaged learners of all stripes. To help you navigate the meaning and the potential of blended learning, I've gathered a playlist of videos and resources to explore on the topic. A nice succinct animated call-to-action video produced by BlendedLearningNow, a portal for aggregating blogs, articles, case studies, research, and videos to help educators make sense of blended learning. Produced by edtech consulting company Education Elements, this video illustrates and explains the four main models of blended learning, including lab rotation, class rotation, flex, and pod. This well-produced piece is about a K-8 school in Oakland, CA, that has adopted the classroom rotational model of blended learning school-wide. This one was also made by Education Elements. Another explanation video, this one in the Common Craft style, that provides great breakdowns of the evolution of teaching tools, shows how learning management systems (LMS) work, and relates it all to Bloom's taxonomy. EdWeek gives us a peek inside a science classroom at Mott Hall V Middle School in New York City, where students learn from a combination of face-to-face and online instruction. This video from ed tech specialist Jen Jonson has the best explanation of the difference between tech integration and blended learning that I've found, and it digs into the hallmarks of quality blended learning to boot. Lest you think this is a charter-only phenomenon, DC Public Schools put out this video to show off their blended learning initiatives. The district also offers good resources on their blended learning page. Luminaries and early adopters in the blended learning movement walk you through the phases of successful implementation in this nuts-and-bolts video from Digital Learning Now. Check out the companion PDF guide. Though a little light on content, this quirky stop-motion animation video series aims to show what various proven teaching methodologies can look like in a blended learning environment. Information about blended or hybrid learning is bountiful online; so much so, in fact, that it's hard to separate the good stuff from the noise. 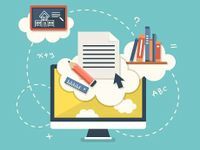 There are numerous ed tech companies looking to make their millions on tech tools designed to support blended models, and it seems like even the well-respected organizations tackling the subject all approach it from different angles. 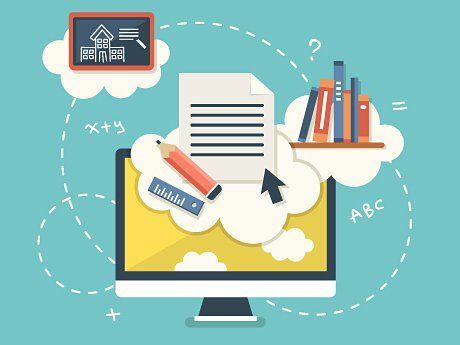 You can get started with Edutopia's comprehensive new Blended Learning Resource Roundup, and I've also chosen a few resources, organizations, and articles below to help you better understand the breadth of this method of instructional design and the possibilities it can offer. Feel free to leave your own resources and ideas in the comments below!